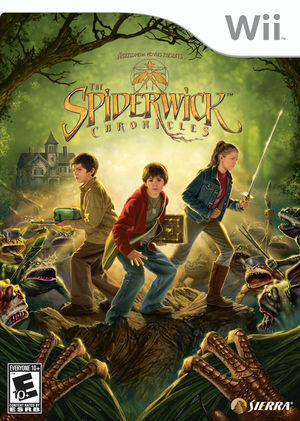 The Spiderwick Chronicles video game is based on the film adaptation by Paramount Pictures and Nickelodeon Films and feature multiple playable characters, each with unique abilities. The Spiderwick Chronicles is a best-selling book series by Holly Black and Tony DiTerlizzi in which twin brothers Jared and Simon, along with their sister Mallory Grace, embark on a perilous journey filled with adventure and danger. The graph below charts the compatibility with The Spiderwick Chronicles since Dolphin's 2.0 release, listing revisions only where a compatibility change occurred. This page was last edited on 13 January 2018, at 14:57.